When traveling with small children, budgeting for meals can get quite expensive, but if you're planning to visit the city of Albuquerque, there are fortunately a number of restaurants where kids can eat free or cheap. From chain restaurants like Denny's, which offers free kids' entrees with the purchase of an adult meal on Tuesdays, to kid's meals for a few dollars Monday through Saturday at local favorite Christy Mae's, there's at least one establishment offering a deal each night of the week. On Mondays through Saturdays from 11 a.m. to 8 p.m., kids can enjoy a full meal at Christy Mae's for just $2. 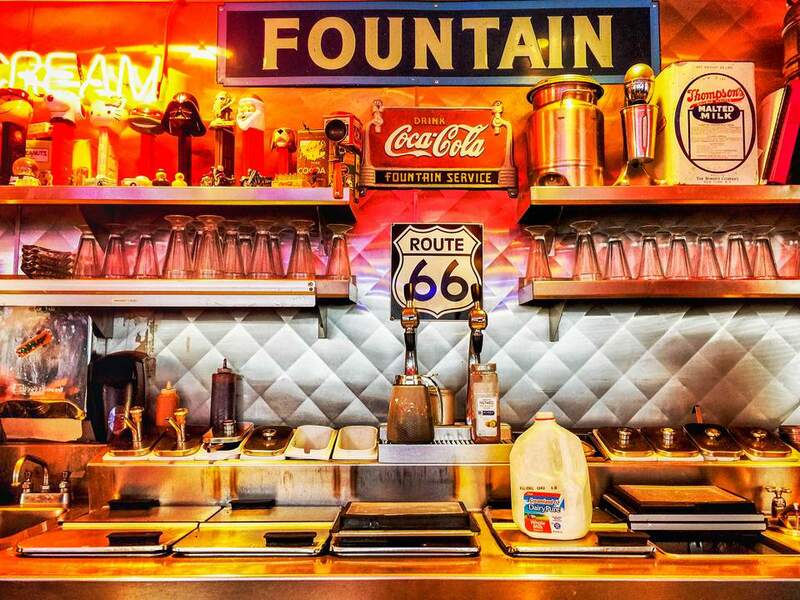 Located in the Fair Heights neighborhood of eastern Albuquerque and offering southern comfort food like chicken pot pies, country fried steak, mashed potatoes, and desserts like Block Cow Root Beer Floats, Christy Mae's has become a local favorite for both kids and adults alike. Located right off historic Route 66 in the building that used to serve as the Jones Motor Company, Kelly's Brew Pub offers free kids' meals to children 12 and under with a paying adult on Saturdays and Sundays for breakfast, lunch, and dinner. The restaurant looks like one of the auto shops in the Disney/Pixar movie "Cars," so if you've got a fan in the family and want to grab a drink on Saturday or Sunday, this is the perfect place to do it. Located in northern Albuquerque, Cici's Pizza is a national chain pizza, pasta, and salad buffet that also features a game room for the kids. Children 3 and under eat for free, and kids aged 4 to 10 eat at a special discounted price. As an added bonus, if your child is enrolled in an area school and brings in a good report card, they can experience the all-you-can-eat buffet for free! With four locations across the Albuquerque area, Denny's offers a full menu of American food favorites—from pancakes and bacon to burgers and fries. Nationwide, Denny's offers up to two free kids entrees with the purchase of each adult meal every Tuesday evening from 4 to 10 p.m. However, keep in mind that kids meal prices are limited to children 10 years of age and under. Kids 12 and under eat free on Sundays at Dickey's, though it's limited to one free meal for every adult meal purchased. However, the ice cream is always free (with a purchase), so no matter what time you're stopping through town, you can get a free treat for your kids when you stop by this national chain BBQ joint. Golden Corral is another classic American buffet-style chain restaurant that offers special kids' pricing and discounts. Kids 10 and under eat free every Monday night, limited to two children per adult meal purchased, and kids 3 and under always eat for free. This family-started chain serves up a full buffet of American foods like meatloaf, chicken fingers, and even some seafood options. With three locations in the Albuquerque area, Jason's Deli offers "kids eat free" specials on Mondays from 4 to 10 p.m., where up to two children can eat free for each paid adult entree. Jason's Deli boasts a healthy alternative to most American fast foods, with nutritional facts and healthy eating tips featured on the restaurant's website. Another local favorite, the Ponderosa Brewery, has a special menu for kids 12 and under as well as a "kids eat free" special every Wednesday from 11 a.m. to 4 p.m. Their menu includes chicken tenders, mini hamburgers, mac and cheese, and a quesadilla. If you come on Taco Tuesday, you can get tacos for a dollar each. There's even a kids' area with games and activities to keep your kids entertained if you want to take a break and enjoy one of the local brews. With two locations in Albuquerque, Sweet Tomatoes has a menu that features soups, salads, baked goods, and fresh desserts as well as a full vegetarian menu. Offering free meals for kids under 3, cheap meals for kids ages 3 to 5, and a fairly-priced regular kids' menu, Sweet Tomatoes is a great stop if you're looking for a relatively inexpensive meal for your family. The Brazilian grill Tucanos is a carnivore's delight, offering a full range of cooked meats served in traditional South American style. Kids 6 and under eat free for lunch or dinner with the purchase of an adult entree, and its downtown location makes this restaurant a convenient stop for dinner.